With deep joy and in a spirit of thanksgiving to the Lord we welcome the announcement of the election of Kirill, Metropolitan of Smolensk and Kaliningrad, as the new Patriarch of Moscow and All Russia. 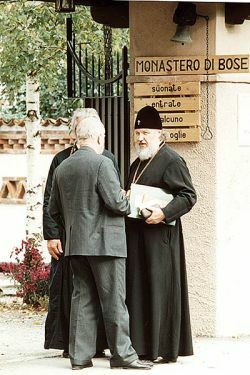 Since the early years nineties, Metropolitan Kirill, former head of the Department for the External Relations of the Patriarchate of Moscow, has encouraged us in the service to the unity between the Churches with his affection and his support to our International Ecumenical Conferences on Orthodox spirituality. "The most precious thing of the Church is its unity," was used to say Metropolitan Kirill during his visits at Bose. 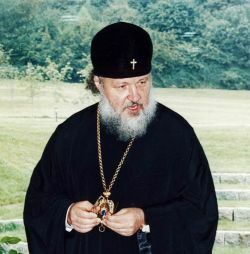 We pray the Lord to enlighten and confirm him in his ministry of communion as pastor of the Russian Orthodox Church. Kirill di Smolensk, S. S. Averincev, B. Bobrinskoy e AA.VV.